Rick has been a master impressionist for over 30 years. He’s shared stages with Rich Little, Mickey Rooney, John Byner, Sherman Hemsley and other legendary celebrities. Some of the esteemed guests who have enjoyed his impersonations include Steve Allen, Tony Curtis, President Gerald ford and Frank Sinatra. A memorable highlight of Michels career came when he performed his impression of Bob Hope for the comedic icon himself, at the Bob Hope Celebrity Golf Classic in Palm Springs. Other highlights include appearances on Baywatch, Americas Funniest People and The Larry King Show. 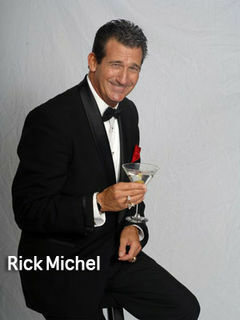 Rick Michel has enjoyed living in Las Vegas and since 1981 has performed from the Tropicana to the Stratosphere Hotel.